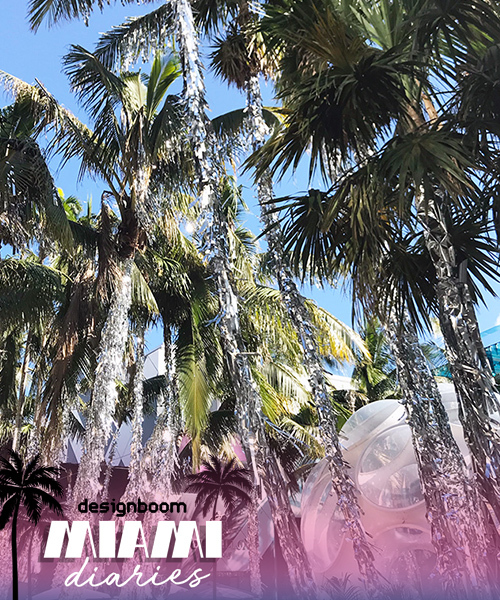 miami art week 2017 brings together a range of prestigious design fairs and events that take place simultaneously in the miami region during the first week of december. 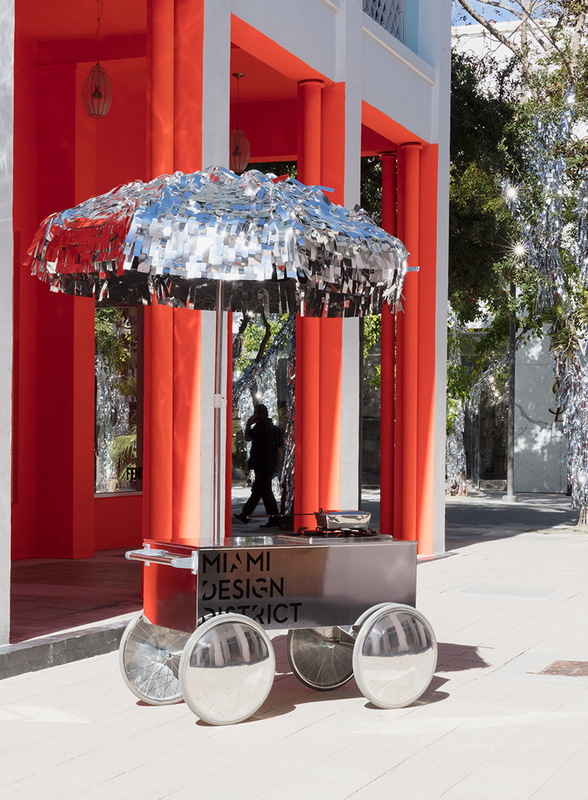 243 years after the city of miami experienced its first (unexpected) snowfall, a team of designers has re-imagined the phenomenon that locals had described as ‘extraordinary white rain’. 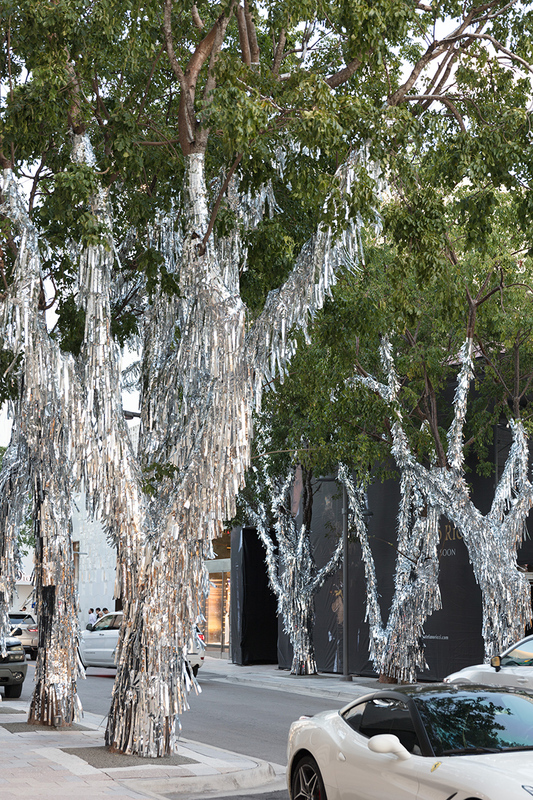 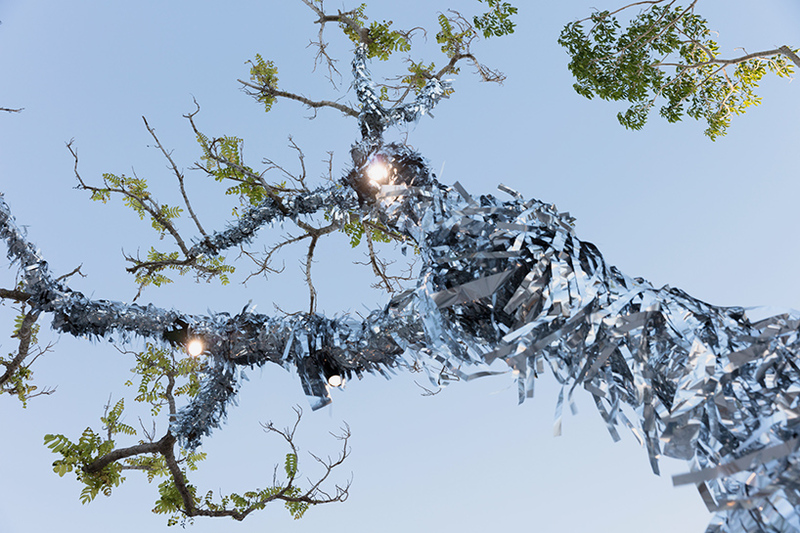 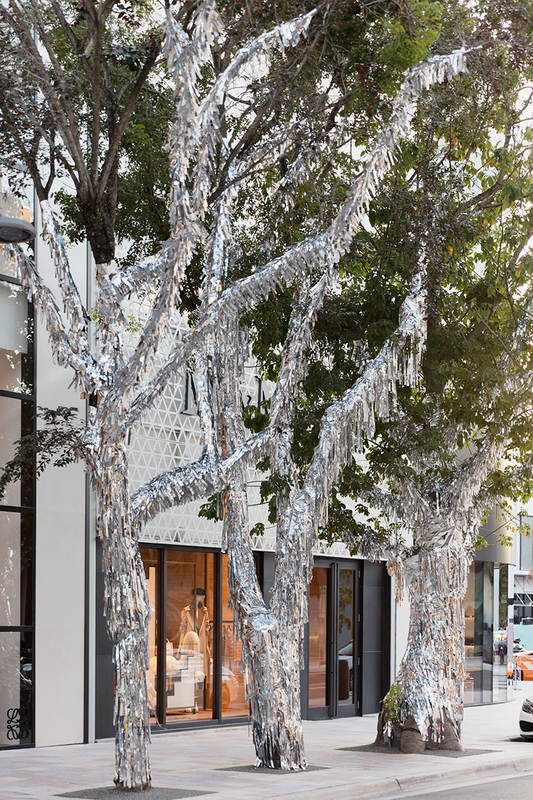 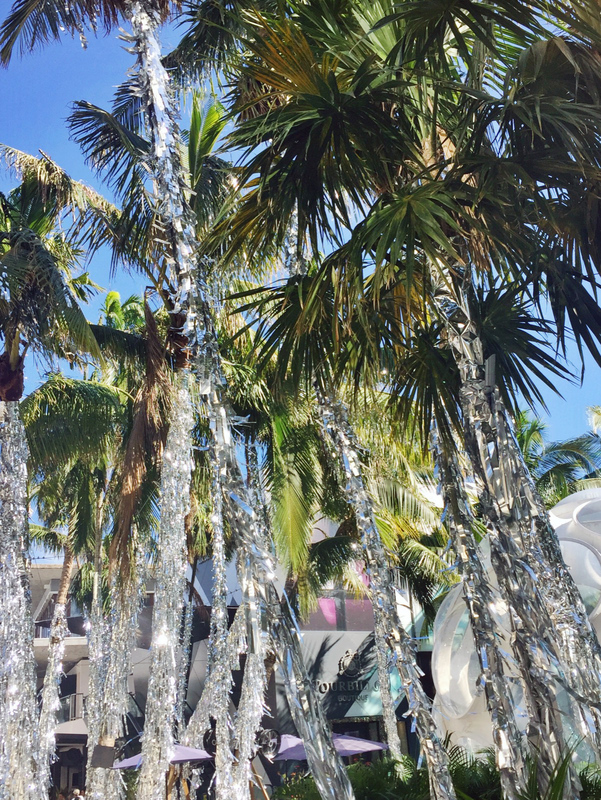 on the occasion of miami art week, trees planted throughout the burgeoning design district were wrapped in luminous silver tinsel, their trunks cloaked in glistening coats. 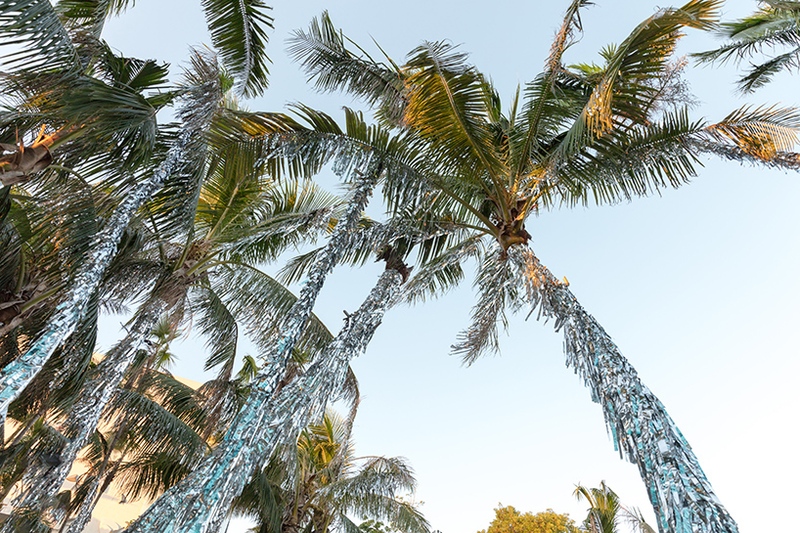 the use of tinsel recalls the archetypal aesthetic of winter, and brings a german decorating tradition to an american beach town. 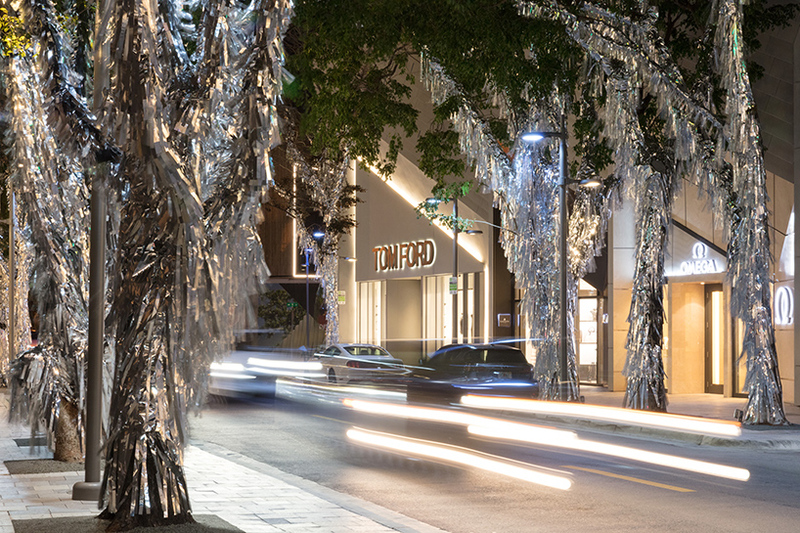 designed by LA and NY-based studio charlap hyman & herrero, and produced and installed by creative design firm ALT BLD, ‘white rain’ sees the miami design district transform into a dazzling disco ball. 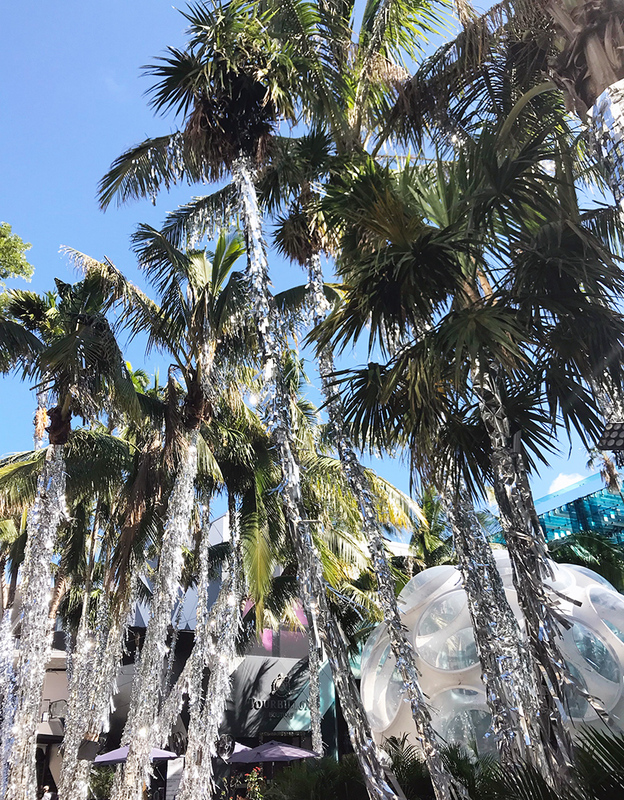 perky palms become oversized reflective towers, drawing from the synthetic palette of 1970s miami. 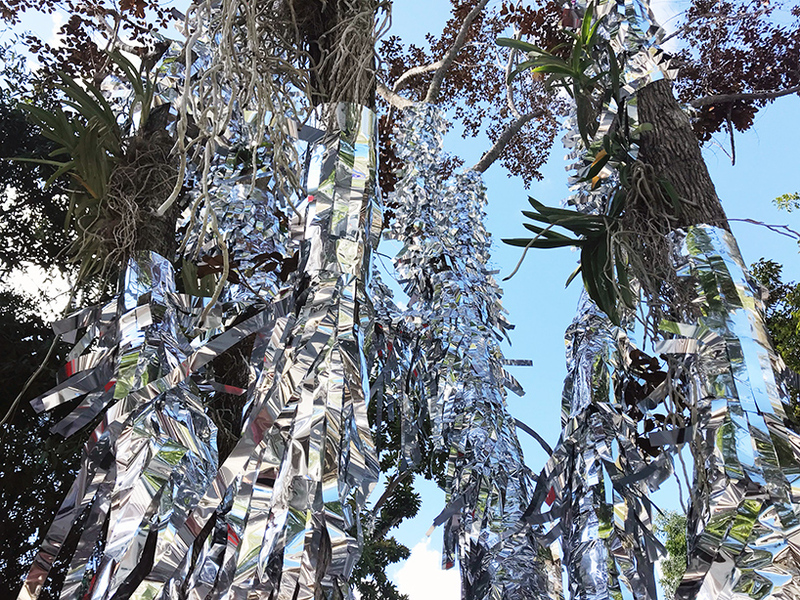 the silver tinsel simultaneously recalls the sincerity of holiday memories, and references the manic ecstasy of disco fever. 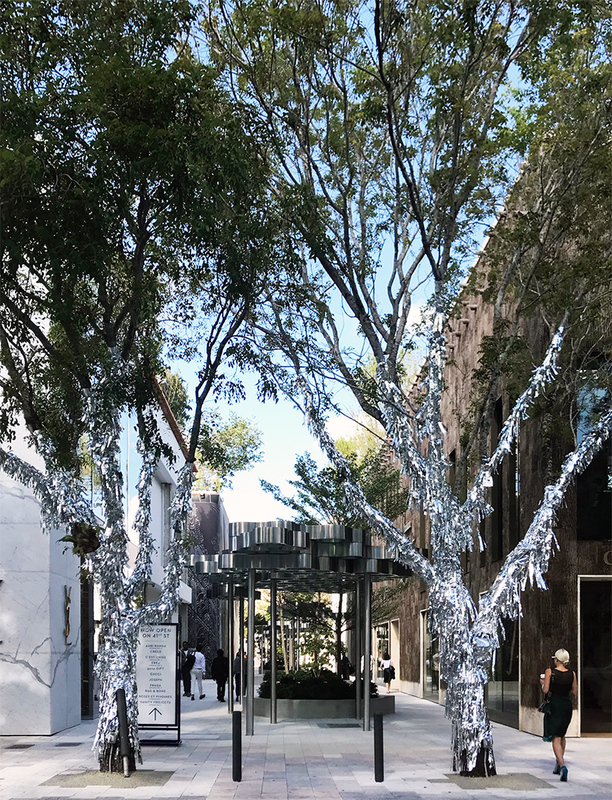 the installation highlights the division between the natural and the man-made, and suggests that holiday decorations — in miami at least — are best accompanied by a sense of humor.